Operated by Aspen’s only five-star hotel, The Little Nell, The Sundeck offers superior service and food amid breathtaking views. Favorite items are healthy, made-to-order stir-fry dishes from the wok station, fresh and inventive soups, pizzas, unique salads and delicious sandwiches. 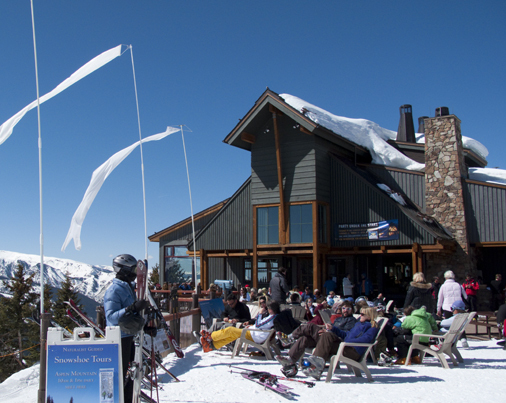 It’s all served in the Sundeck’s bright and warm setting, defined by 30-foot ceilings, a huge rock fireplace and a spacious patio to make the most of its beautiful views of 14,000-foot peaks. The building’s architecture reflects both its remote mountaintop location and Aspen’s mining heritage, featuring natural wood framing and beams, a galvanized metal rook, and stone siding.